Oh my! I have for you today one of my family’s favorite treats. As you know I love an easy five minute recipe and this is it! Let me tell you that it has just three ingredients what is always a plus! 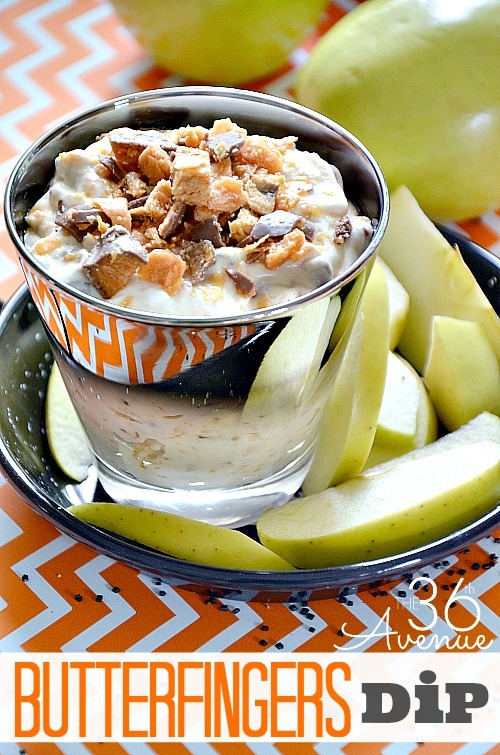 Our favorite way to eat this yummy Butterfingers Dip is with crunchy apples which by the way makes this recipe the perfect Fall Snack. but for now let me tell you what makes this dip so darn good. 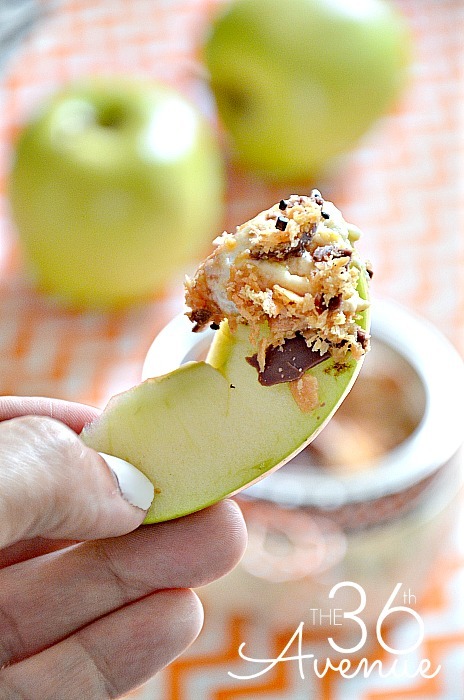 Each bite is full of sweet creamy flavor with the crunchy delicious butterfingers. I am telling you my friend… You are going to love it! OK, enough talking… Let me share the recipe with you all. Mix well soft cream cheese and marshmallow creme together. Chop 10 butterfingers in chunky pieces and add it to the mixture. 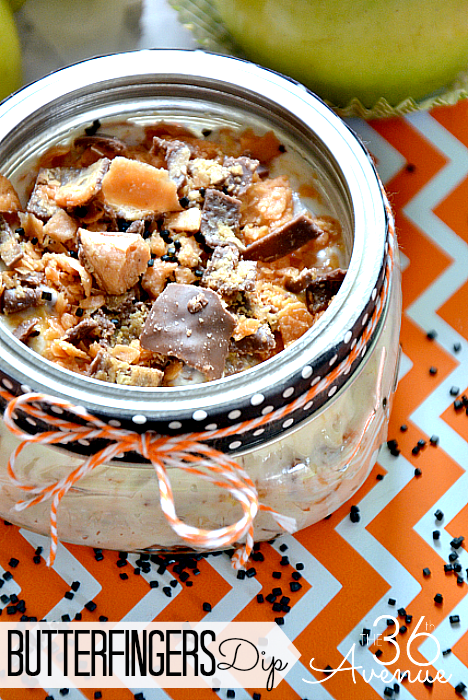 Chop the 2 butterfingers and sprinkle on top of your dip as a topping. You can make it previously and refrigerate. 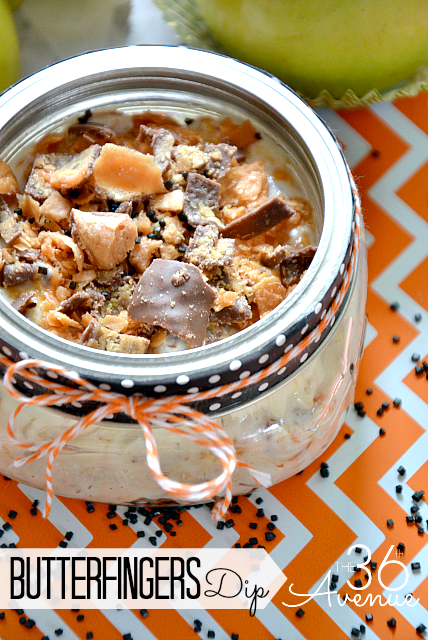 If you do this wait to add the extra butterfingers topping until serving. 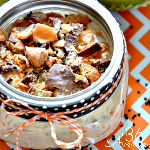 If you are throwing a Halloween Party make sure to have this Butterfingers Dip as part of your treats and dessert table. I told you I would share with you two gift ideas so here they are! 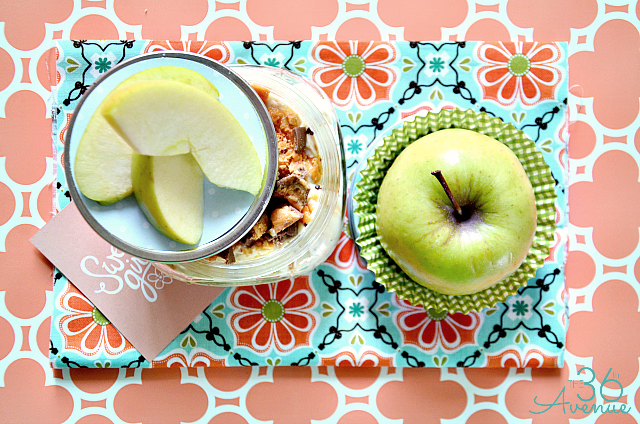 Put your dip in a small jar and embellish the lid with some craft paper and washi tape. Set a fresh crunchy apple right on top and put all of it inside of a clear bag. 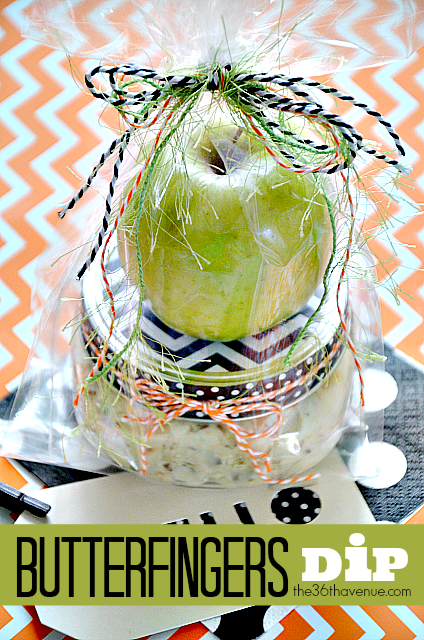 Super cute gift for neighbors and teachers! Here is another idea without the Halloween colors. or anytime of the year as an adorable friendship, feel better, or thank you gift. I may give this to my kiddos’ teachers for Christmas or Teacher’s Appreciation Week! Wait! 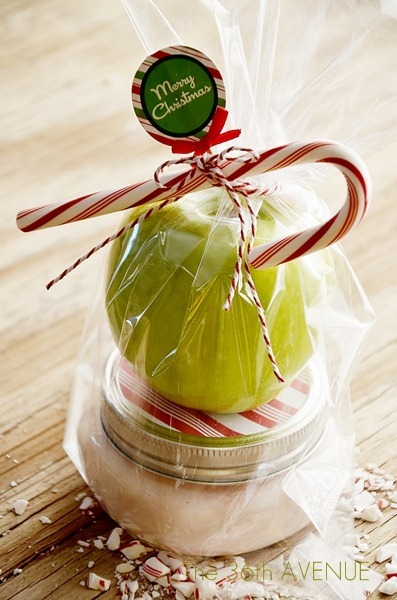 Before you go here is another sweet Gift Idea using our Candy Cane Dip. Thank you so much for always taking the time to stop by. I love your comments, visits and how much inspiration you guys bring into my life! 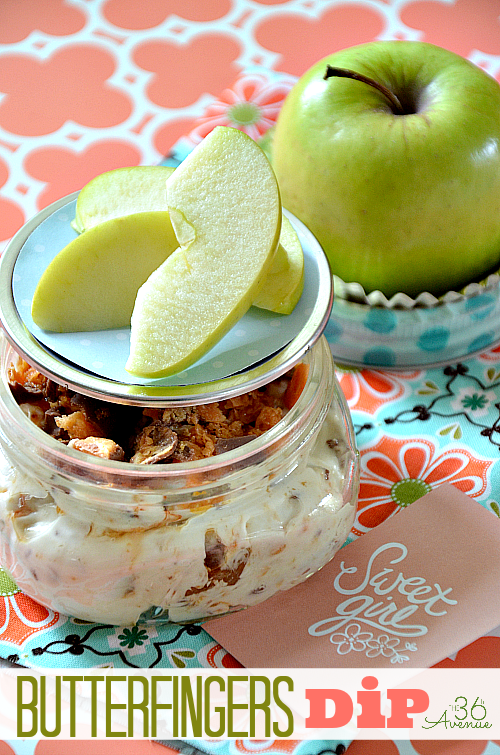 I love this simple and yummy idea! My question would be, if you are using cream cheese doesn’t it have to be refrigerated? Thank you for sharing! You are right though, make sure to refrigerate the leftovers!